Wednesday, November 14th, 2012 . Gina Bianchini, CEO of MightyBell spoke to us at Failcon this past month on some of her biggest disasters in business (the flop when she was in charge at Ning, pivoting in several business ventures, and even her latest course change at MightyBell), but what stood out for most was her advice to women when they are in work meetings. According to several studies, men and women who act the same and say the same exact thing are perceived in a completely different way. Gina says it’s no accident women try to be more demure and apologetic in work situations. Make sure you are not dismissing someone based on their gender. Recognize your own gender bias. If you want to make it in Silicon Valley, learn how to SELL! Women may not get the same credit as a male entrepreneur, according to Bianchini, but they can learn how to sell to the users and gain their funding straight from the source. Monday, November 12th, 2012 . As avid users of Google Apps, we at ÜberConference are proud to be silver sponsors of gSocial 2.0, the largest independent event for resellers and independent software vendors that offer Google Apps solutions for business and enterprise customers. The event is this November 12-13 in Sunnyvale, CA, and offers a number of sessions and opportunities for sharing best practices and networking with others in the Google Apps channel partner community. If you are at the event, we’d love to meet you. ÜberConference will be there both days, and will also have some round table sessions for demos and general discussions from 3:15 – 4:15 on the second day. ÜberConference is conference calling done right. We make it easy to join phone conferences without having to enter a PIN, see who is in the call and who is speaking, and run calls smoothly with powerful call management features. Led by Craig Walker, the founder of GrandCentral and Google Voice, the team includes other past members of the Google Voice team, and has deep experience in developing innovative telephony features at scale. Winner of TechCrunch Disrupt NY 2012, ÜberConference has received rave reviews in the press for its innovative approach to conference calls. The company is backed by top-tier investors, Andreessen Horowitz and Google Ventures, and has raised $18 million. Our ÜberConference Google Apps integration launched on October 24, and is currently first among the Top New Apps in the Google Apps Marketplace. The app makes it easy for anyone in a Google Apps domain to sign up and login to ÜberConference from the Google Apps “More” menu in the title bar. It also automatically syncs Google contacts with ÜberConference contacts when users sign up, so all the social caller ID and PIN-less dial in features of ÜberConference are ready to go. With the launch of ÜberConference Business this past week, setting up and managing conference calls across a business is even easier. An UberConference Business account lets you sign up multiple accounts at once and assign accounts to users by sending out email invites or distributing a unique link. Its simple to add and remove users, just like you’d do with Gmail and Google Apps, and management of billing and accounts is all in one place. Friday, November 9th, 2012 . 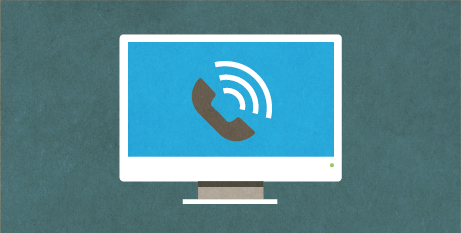 Toll Free Conference Calls Are Here! Give an extra professional touch to your conference calls with a toll free number. Toll free makes it easy for people to dial in from any phone without worrying about long distance charges. With ÜberConference toll free conferencing you get unlimited toll free calls and all the ÜberConference Pro and regular features for just $20 a month. Traditional toll free conference call providers charge by the minute for each leg of the conference call, and often include additional fees and even hidden charges. These costs can add up and can vary widely from month to month depending on how many calls you make and the number of people in your calls. Usage rules can even be complicated and misleading. We hate these types of practices and think people deserve better. So for just $20 a month you can call as much as you like and skip all the guesswork of what you might be charged. It’s simple to understand and manage, and for that rate you are likely to save a lot of money as well. 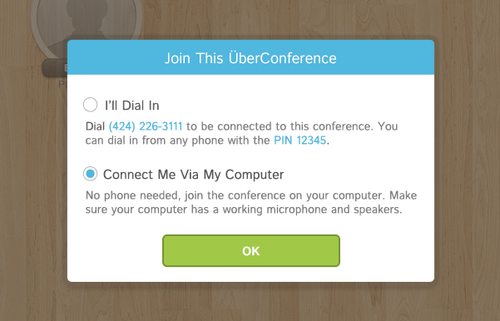 ÜberConference toll free conference numbers come with an ÜberConference Pro subscription, which offers increased conference size up to forty participants, the ability to call out to join people into conference calls, recurring conferences, and custom hold music. Also included are all the core award-winning ÜberConference features. Know who is on the call and who is talking with the rich visual conferencing interface with social contact integration, and run calls smoothly with robust call management features like mute, earmuff, group chat, and call recording. To get your toll free number, select the toll free number option when you upgrade your free account to ÜberConference Pro. If you are already a Pro user, you can click on the Get More page in your account and the toll free number option to upgrade your account. This will allow you to switch your local dial in number with a toll free number, and will change your monthly bill from $10 a month to $20 a month. Thursday, November 8th, 2012 . We have been taking care of business at ÜberConference this past month…literally! It’s exciting to announce a set of new features that further optimize how UberConference can be used across businesses and organizations. We launched ÜberConference for Google Apps, rolled out toll free ÜberConference numbers, and now offerÜberConference Business accounts. If your business is like ours and you have different conference callsgoing on at the same time, you probably need more than one ÜberConference account. With ÜberConference Business, you can sign up for multiple ÜberConference Pro accounts at once. It’s simple to manage all the billing in one place, and you can control who has access to your organization’s ÜberConference accounts. It’s as easy as managing email accounts for your domain. When you sign up, you can select the number of accounts you need and the type of accounts you would like. It’s $10 a month for each local dial in number account and $20 a month for toll free numbers. Both options include all the ÜberConference Pro features. Once you have your accounts, you can assign them to people in your organization by entering their email addresses. Emails will be sent with the basic instructions and a link for choosing an account name, password, and dial in number. The admin panel also makes it simple to reassign accounts if a person leaves the account or add and delete accounts depending on how many you need over time. If you use Google Apps, don’t forget to check out the UberConference App in the marketplace. It makes it even easier for people in your company to use ÜberConference from the More link in your corporate Gmail and Google Apps. Are there ways we can make ÜberConference even better for your business? We’d love to hear from you. We are also happy to help you get started or with any questions you have on the right solution for your company. Just shoot us an email at sales@uberconference.comand we’ll get back to you right away.